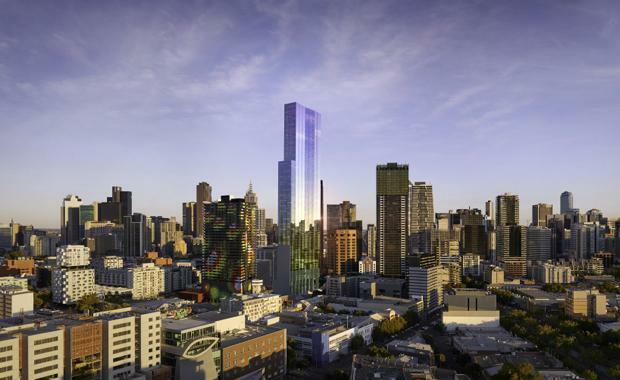 Local apartment hunters are expected to flock to Melbourne's latest high end residential tower when it officially hits the market in the coming weeks. Colliers International has been appointed as the marketing agent for Hengyi's upcoming Swanston Central tower located at 168 Victoria Street, on the corner of Victoria and Bouverie Streets in Carlton. Colliers International Managing Director of Residential Tim Storey said the official launch for the 70-level tower was imminent, with early interest already being fielded. "This project will be extremely well received in the market," Mr Storey said. "With only limited marketing into China, and Asia more broadly, we will be concentrating on selling these stunning apartments primarily to the Australian market. "This will be an iconic, high quality residential tower in an outstanding location, and we expect it to attract strong interest from the outset."